Anyway, usually I’m left alone to do this ritual, noone is interested in what happens in the make up department here. 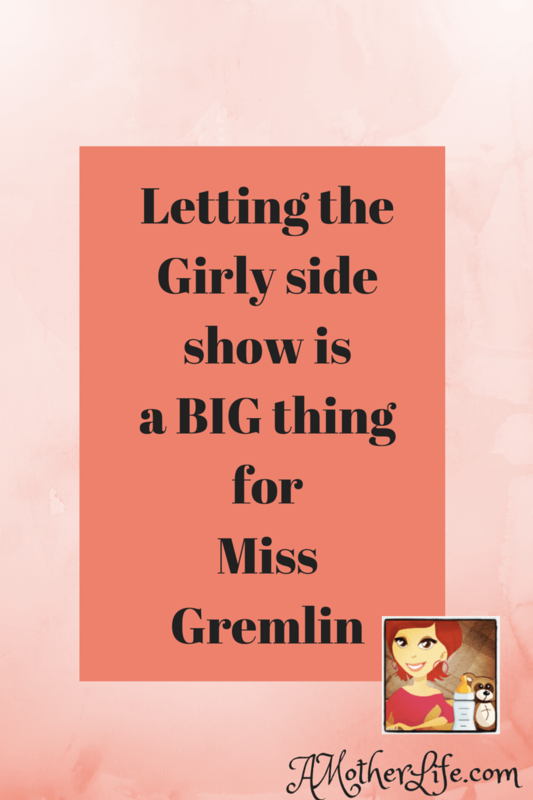 Except this time, Miss Gremlin decided she wanted to watch, she asked a lot of questions. Wondering why each step was required. As always I explained as I go. I have no problem explaining anything to the kids, never have, no matter what the subject. She was genuinely interested, of course I’m going to share girly things with her if she wants to know. We all know those moments are few and far between around here. Next week she’s getting a manicure for graduation. None of that icky colour stuff or anything but a pampering just the same. Clear polish is a start, and with the re-do of the blue hair on the weekend, she really is letting her girly side show.